Former Gov. 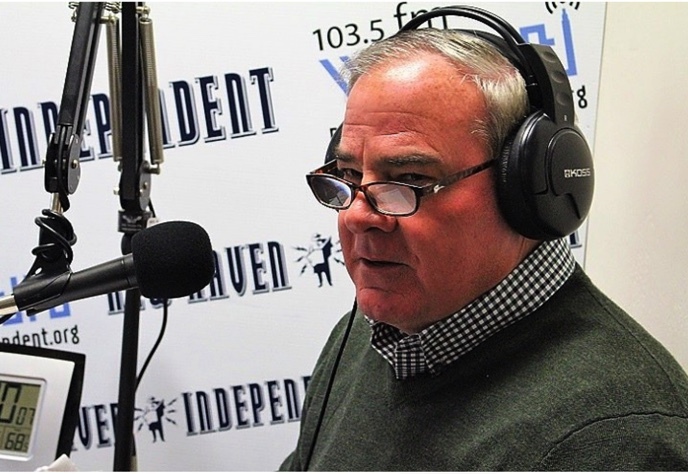 John Rowland has seen the most right-wing of Republicans and the most left-wing of Democrats converge on at least one issue since the height of his political career two decades ago: criminal justice reform, an issue he has experienced firsthand from all sides. The bipartisan political mindset in the 1990s was to be “tough on crime” with mandatory minimum and three-strikes-and-your-out laws, he noted. Now the rare moments of political consensus today center around laws like the First Step Act, which both the conservative Koch Brothers and the liberal American Civil Liberties Union worked with the Trump Administration on in an effort to reduce federal prison populations and bulk up reentry support services. “You couldn’t be tough enough on crime back in the day,” Rowland said about the 1990s. But in 2019, not so much. Rowland, who currently serves as the Northeast development director for the Christian nonprofit Prison Fellowship, is uniquely qualified to comment on how mainstream political common sense has changed over the past four decades. In Connecticut, he’s spent many of those years right in the middle of it. In 1980 at the age of 23, Rowland became the youngest member of the state House of Representatives. Four years later, he became the youngest U.S. congressman, representing Connecticut’s Fifth Congressional District. In 1994, at just 37 years old, he became the state’s youngest governor. He served in Hartford until 2004, when he resigned amidst a corruption investigation, and served 10 months in federal prison after pleading guilty to charges related to taking $107,000 in favors from state contractors. It was the first of two convictions and prison sentences. “The world has changed,” Rowland said as he reflected on how Republicans and Democrats alike in the 1980s and 1990s used the specter of gang violence and drug dealing to lock people up in record numbers. That mindset led to a skyrocketing in the country’s incarcerated population from around 420,000 in the early 1970s to around 2.3 million today. He said that evangelical Christian organizations like the one he works for as well as racial justice advocates and civil libertarians have formed a bipartisan coalition focused on reducing mandatory minimums and racial disparities in sentencing, closing prisons, and helping the formerly incarcerated finding housing, work, and meaningful social and spiritual support systems. Rowland was also asked how he thinks now about his two stints in federal prison. The first came in 2005, when he served 10 months after pleading guilty to charges related to taking favors from state contractors; the second came in 2014, when he served 15 months for arranging to be paid to work secretly as a political consultant on two congressional campaigns, in violation of federal campaign finance laws. Following is an exchange Rowland had on Friday’s program with WNHH hosts Babz Rawls-Ivy and Jeff Grant about where he stands now on his convictions and time served. Rawls-Ivy: When you find yourself about to do this for the second time, what’s your thoughts? How did you feel? Rawls-Ivy: Did you have an opportunity to apologize or be sorry? Do you feel sorry for whatever you were charged with? Because I know people want to make you sorry. Rowland: Let me ask you this, for ‘whatever you’ve been charged with.’ My nickel bet is you can’t even come close to suggesting what i’ve been charged with. Grant: The second time or the first time? Rowland: Either time. … The point of saying that is, a lot of times things get trumped up, and there’s motivations and purposes behind it. And the motivations and purposes behind what these guys did to me, you’d be hard pressed to see if anybody ever went to prison for these charges. Or any victims or anybody hurt, or anything else. Grant: Anybody who goes through the system … in some respects, they know that they’re a political refugee. It’s set up for winners and losers. … This is a conversation that has to happen in order for people to reconcile what’s happened to them. But that doesn’t relieve them necessarily of their responsibility and of their need to show remorse and ask for forgiveness. Where are you in that spectrum? Rowland: Let me put it this way. If I felt that I did something wrong and I’d ask for forgiveness, I would have done a plea deal. But I went to court and I fought it. I went to appeals. The law firms even came in and did all this stuff pro bono. If they did this stuff pro bono, there must be a reason behind it. They took it to the [state] Supreme Court. So, if you look at the criminal justice system, it is fragmented, with things that take place in the urban communities, but the political motivations that are now coming out are much worse than they were a million years ago. And I say this because if you think you’re safe, look at what’s happening [to President Trump]. Here he is, the most powerful person on the planet arguably, whether you like him or not, a couple of prosecutors decided that they were going to go after him, and they spent two years. But here’s what’s interesting. Can you pursue another human being, another law abiding citizen, if there’s no evidence that a crime has been committed. Rawls- Ivy: I’m sorry, what? Rowland: There was no evidence that he committed any crime. And yet’s he’s been investigated. Rawls-Ivy: We don’t know that. We don’t have the Mueller report. We have Barr’s interpretation. Rowland: I’m not going there. If they had something, they would have indicted him. My point is, the motivation to start the investigation, there was no blatant evidence of a crime that had been committed. Leave the politics alone for a second, if prosecutors can go after the president of the United States and torture him and his family and his friends, imagine what they can do with ordinary citizens. Rawls-Ivy: As the only person of color in this room, I just find that whole statement upside down. Rowland: It has nothing to do with color. What I’m suggesting is that, when prosecutors decide to pursue somebody, it doesn’t matter who they are.